If you've heard the term "Argentine dance," you may be wondering what this type of dance is all about. What is it? Where did it come from? 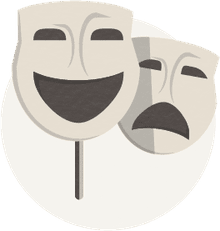 Is it easy to learn and fun to perform? Argentine dance is a popular dance style practiced throughout the world. Argentine dance is characterized by traditional rural dances. Several Argentine dances originated in Argentina and are still performed in the country today, with the most popular being the Argentine Tango. Throughout the years, Argentine dance has become an essential part of the culture of Argentina. The Argentine Tango, enjoyed by tango dancers of all ages, originated in Buenos Aires. Argentine Tango is much more intimate than Modern Tango and is well-suited to dancing in small settings. Argentine Tango retains the intimacy of the original dance. Then there is ballroom tango, which was derived from Argentine tango styles but modified to fit into the category of ballroom dancing. Ballroom tango incorporates different techniques than the smooth, Argentine dances. There are a few major differences between the tango that you see in ballroom dancing compared to the Argentine tango. And when you see both dances side by side, you will be able to distinguish them with ease. First off, the Argentine tango does not have a step pattern; ballroom tango has an eight-count step pattern: slow, slow, quick, quick, slow. While ballroom tango dancers move around the room more, Argentine tango dancers stay in the same spot for a longer duration of time. Ballroom tango isn't as physically "close" a dance as Argentine tango, meaning that there can be more space between dancers; the Argentine tango is more intimate with bodies closer. Broader movements in the upper body and head snaps define ballroom tango as we know it today, but Argentine tango does not feature those types of movements and keeps most of the moving below the waist. Argentine tango follows the melody of the music more, while ballroom tango dancers stick to the bass of the music. As for which type of dance is easier, the steps in Argentine tango tend to be more difficult. 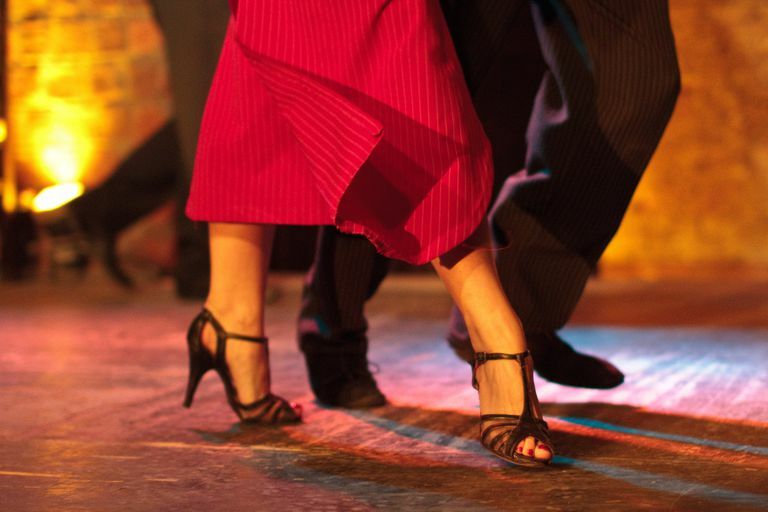 There are steps such as calesitas, planeos, barridas, and volcadas in the Argentine tango—those are not in regular ballroom tango. That said, advanced dancers will know those steps already and be able to incorporate them into learning the Argentine tango perhaps more easily than a beginner. Argentine dances represent the emotions and lives of the people of Argentina. Chamame is one of the most popular forms of Argentine dance other than the very popular Argentine Tango. The Chamame is performed by two dancers in a cheek to cheek embrace. Cuarteto is another popular form of Argentine dance. Cuarteto is an upbeat dance performed by large circles of dancers moving in a counter-clockwise direction.